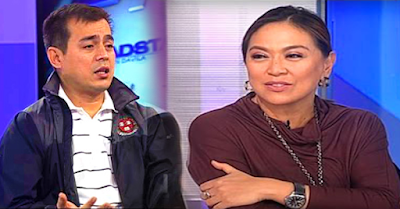 MUST WATCH: Isko Moreno Slammed Karen Davila After Answering a Controversial Question? Karen Davila is one of the most awarded journalists in the country. She was known for being credible and brave whoever she faces. Aside from being an anchor in a late night news program, she can also be heard on the AM radio battling certain vital issues. Davila was just recently admired by netizens after throwing brilliant questions to Senatorial bet Alma Moreno. Everyone applauded her for being straight to the point, fearless and genuine during the interview. However, another "Moreno" is putting Karen in the limelight again. This time it's Manila Vice Mayor Isko Moreno Domagoso, who is also aiming for a seat in the Senate. In an interview, the news anchor asked Isko about his point of view on the issue of Senator Bongbong Marcos apologizing to the victims of Martial Law, which was declared and executed by his father, the late President Ferdinand Marcos. The Vice Mayor composed himself and gave a very firm and logical answer. According to netizens, Davila was allegedly put to shame after Moreno gave his answer. Isko answered the question very well indeed. as for karen davila, no comment.